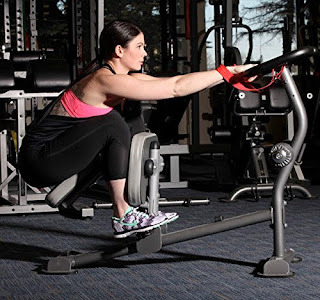 Improve your workout sessions by warming up and cooling down with the Element Fitness Commercial Stretch Machine (rebranded by Gronk Fitness). Performing stretch exercises before and after your main workout is a great way to help improve your body’s overall flexibility and reduce the risk of injury. Besides pre and post workouts, general stretching exercises at any time can help to improve the flexibility in your legs, hips, arms, shoulders, and back. The Element Fitness Commercial Stretch Machine is suitable for use both at home and in commercial settings. 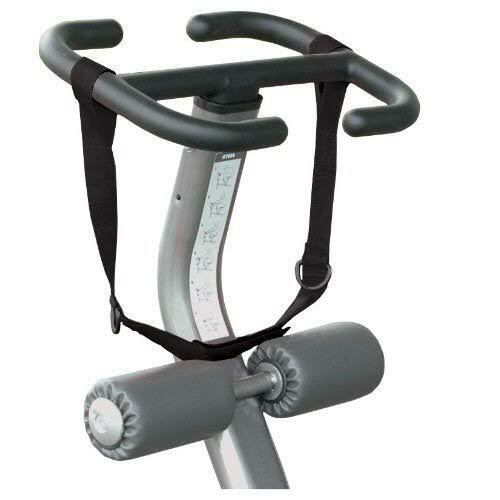 Made with a heavy solid steel frame (65 lbs), this is one of the most robust and durable stretch machines you can get. 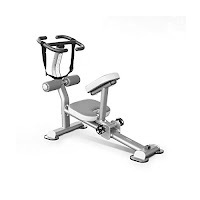 It’s sturdily built with oversized solid foot supports for additional stability providing safe workouts, while the quality double-stitched high-density upholstery on the seat and kneepads ensures your workouts are as comfortable as possible. 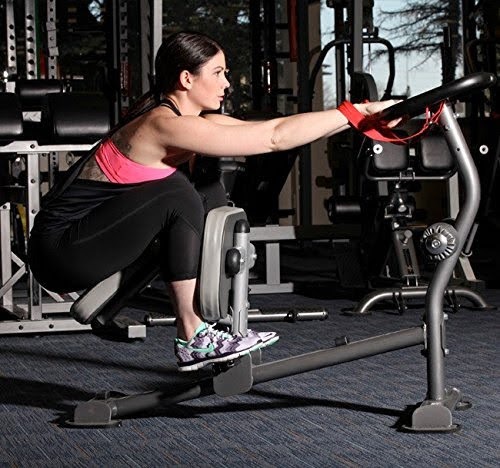 The Element Fitness Commercial Stretch Machine features multi-grip handlebars that allow for a great variety of stretching exercises. This machine also comes with Front Pads to allow for additional stretches (such as hamstrings), a bonus feature that is not found on most stretch machines. The Element Fitness Commercial Stretch Machine is designed to support your body for assisted stretching exercises - no more having to get down on the floor! This Stretch Machine is ideal for both sports people and for people who suffer from stiff muscles who want to improve their body’s overall flexibility and range of motion. 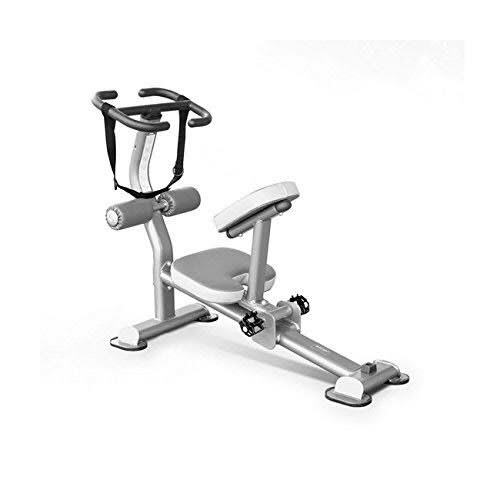 The Element Stretch Machine is a good investment for your fitness goals and retails at a very reasonable price for such a quality machine. “I’ve used a Precor at the gym and wanted a stretch machine for home use, but the Precor is a lot more expensive than this Element machine. I tried but couldn’t replicate the stretch exercises without a machine. So I bought the Element – it’s actually a very solid machine and the stretches and range of motion with it are as good as or better than the machine at the gym. It took me around 40 minutes to unpack and assemble this machine. My only negative is that there was no real stretching guide with it – it does have a very simple diagram of stretches but there was no explanation of them. Still, once I’d used the machine for a while I soon figured out all the stretches it would support and actually the pads on the Element provide a better quad stretch than the Precor. I use this every day. It may seem pricey for a single-purpose machine, but it is highly effective and efficient. If you want a stretching machine, then the Element is a great choice. LifeSpan Fitness SP1000 Stretch Partner versus Precor 240i Commercial Stretch Trainer, How do they Differ? Comparing Bowflex SelectTech 5.1 versus 3.1 Adjustable Bench, What's the Difference?